Project Kyoko: More garage shots with a shady cameraphone. 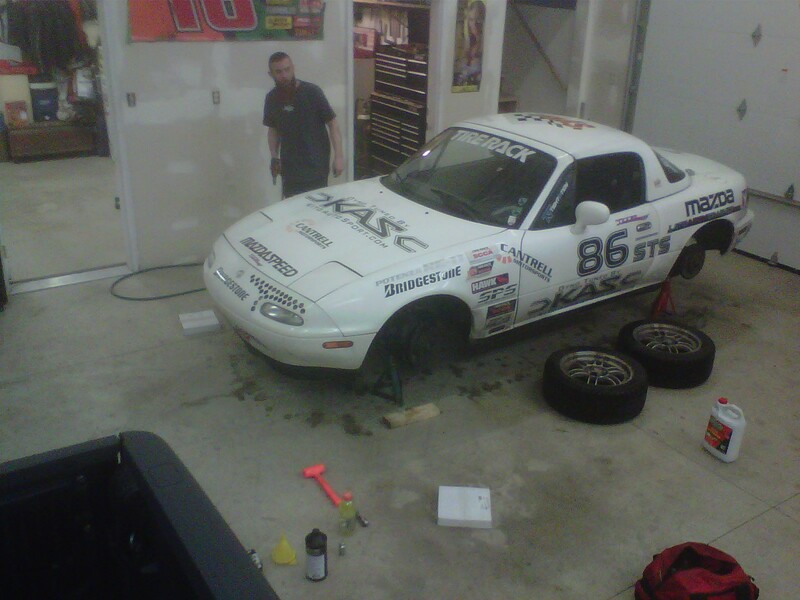 Sorry for the cameraphone pictures, but I wanted to grab some shots of some of the garage time that Kyoko got this weekend. One of my karting friends was able to help me replacing the pads and rotors on the car. TJ is a great mechanic, and I can pay him in food, so it works out well. 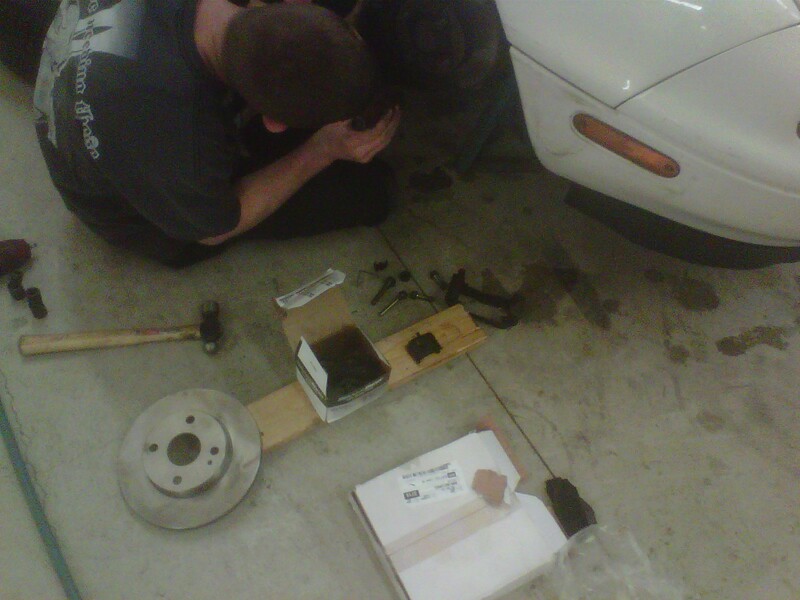 While TJ was working on the car, he found that one of my front calipers was leaking. 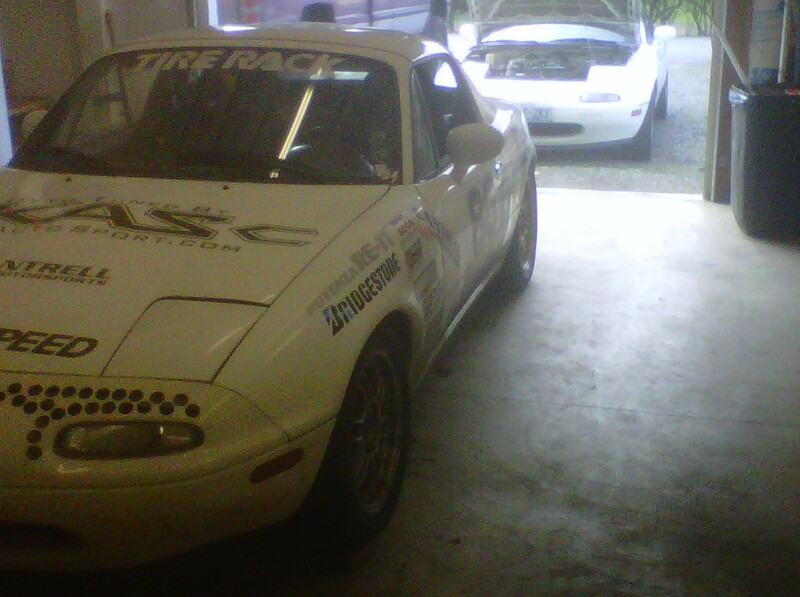 Seeing that I’m going to use the Miata to get my competition novice racing license next month, it wouldn’t be safe if brakes didn’t work on me. Fortunately, another autocross friend was in the area and was able to pick me up as we went on a mini-road trip to find Miata calipers. TJ kept working on the car, while Jeremy and I drove around Seattle and Redmond, until we found someone who was able to sell us a full set. Note: I really need more on track shots, rather than pictures of the car in the garage. I’ll work on that more next month.